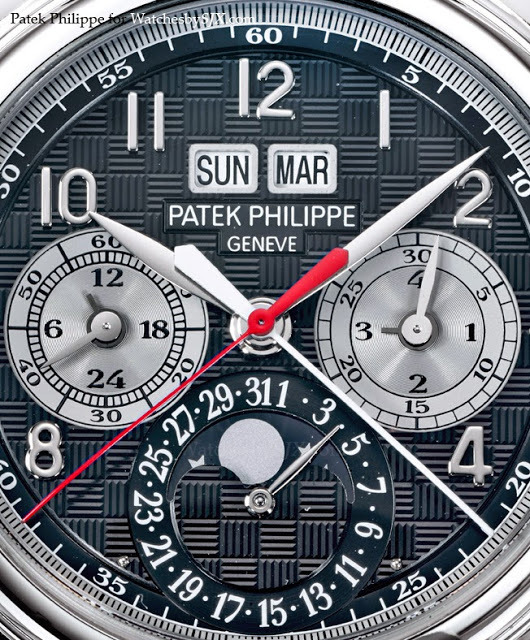 For the Only Watch 2013 charity auction, Patek Philippe has created a unique ref. 5004T in titaninum, with a carbon fibre pattern dial and strap. This is the first, and only, ref. 5004 in titanium. 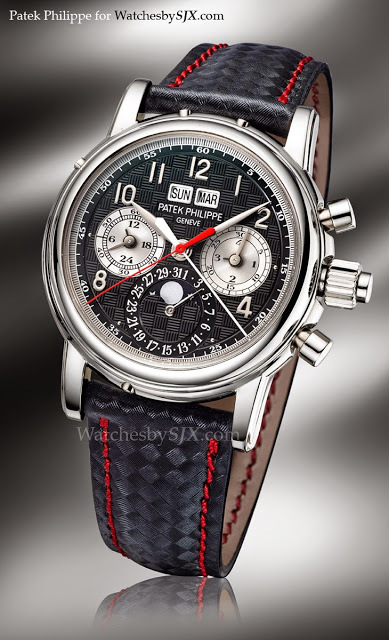 Now discontinued, the Patek Philippe ref. 5004 was the brand’s flagship split-seconds chronograph and perpetual calendar from 1995 to 2011, until it was replaced by the ref. 5204P. 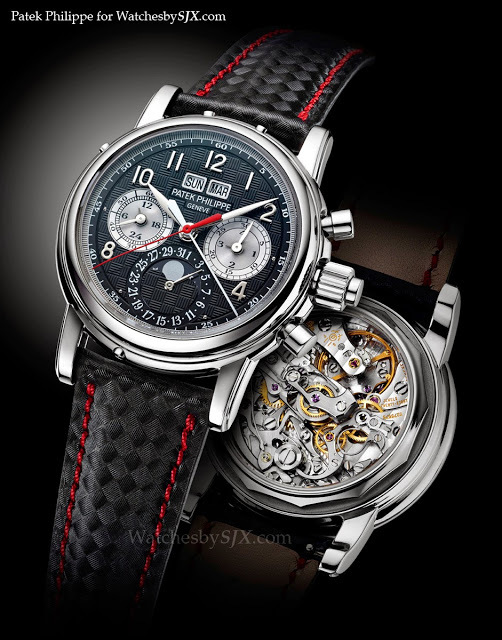 One watches to be sold for a good cause at Only Watch 2013 in September will be a unique, titanium ref. 5004T. The ref. 5004T has a 36.7 mm titanium case, with a sapphire case back as well as a solid titanium case back. The dial is solid gold, and engraved with an unusual carbon fibre guilloche, with gold applied numerals. Similarly the calf skin strap is embossed to resemble carbon fibre, and is fitted with a titanium pin buckle. 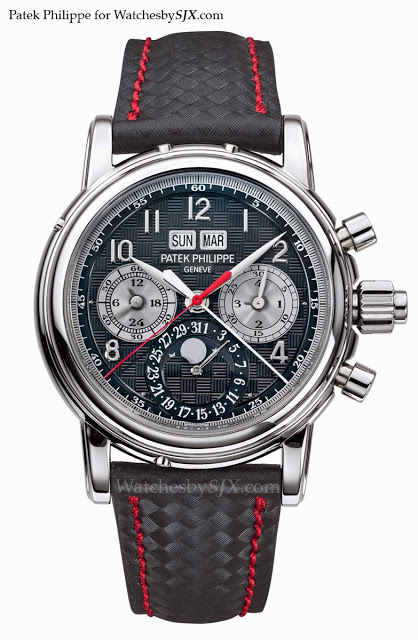 Overall the look is novel for a Patek Philippe – and I think it looks awful. But regardless of how it looks, this will sell for an enormous amount. Inside is the CHR 27-70 Q, based on the Lemania 2310. Only Watch 2013 will take place on 28 September 2013 at the Hotel Hermitage in Monte Carlo, Monaco. All proceeds from the sale will go the Association Monégasque contre les Myopathies (AMM), which aids research into Duchenne Muscular Dystrophy (DMD). More can be found on the official Only Watch page. – SJX Thanks to our friends at Watchonista for the heads-up.